A study last week found that patients had basically the same outcome whether they were treated with surgery or physical therapy. 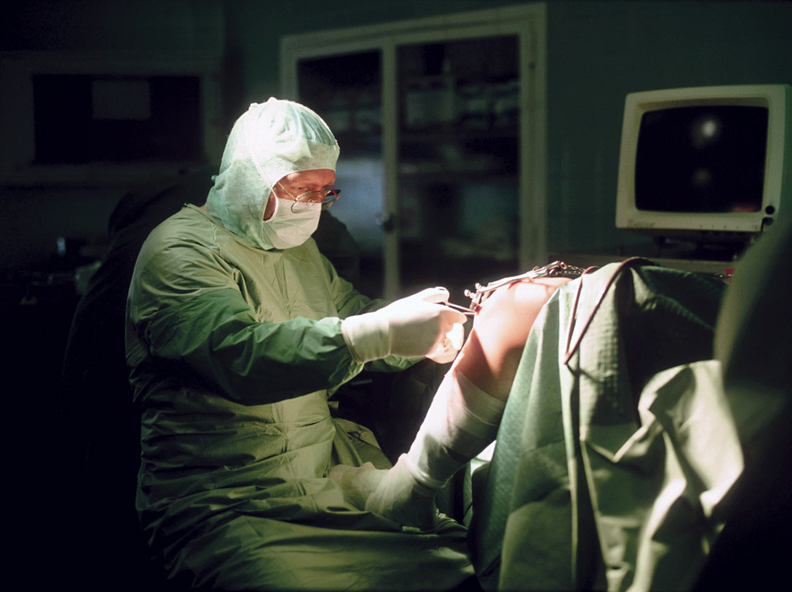 A mandatory pay model aimed at reducing Medicare spending on joint replacement surgeries was able to save money in its first year. The CMS has been scaling back and canceling mandatory models. Under the Comprehensive Care for Joint Replacement program, average total payments decreased by 3.9% or $1,127 compared with hospitals not participating in the model, according to federal data released Wednesday. At the same time, researchers observed no statistically significant changes in the quality of care as measured by readmission rates, emergency department visits, and deaths. The program gives hospitals a fixed payment for all services related to joint replacement surgeries from admission to 90 days after the procedure, with no additional payments for complications, readmissions or post-acute services. "Possibly the most notable outcome during the first CJR model performance year was that statistically significant changes in utilization and payments occurred so quickly," the report said. The study analyzed results from 731 CJR participant hospitals and 841 hospitals not in the experiment, which lasted from April 1 to Dec. 31, 2016. Last year, the CMS scaled back the CJR program citing the burden of the program and the belief that models should be largely voluntary. The CJR model is now only mandatory in 34 geographic areas compared with 67 geographic areas when it first launched. The agency estimated that 465 hospitals are participating in the effort. That figure is down from 800 acute-care hospitals that were expected to participate in the program. After interviewing hospital staff, researchers said there may not have been a change in the practice of medicine at these facilities had the experiment not been mandatory. "These findings suggest that a mandatory model may impel action across a broad range of hospitals that may not otherwise have acted to reduce episode payments," the report said. Proponents of value-based care hope the results will encourage the CMS to reconsider the use of mandatory models. Many of the hospitals in CJR are ones that chose to skip other pay models such as the Bundled Payments for Care Improvement Initiative, according to Andrew Ryan, an associate professor in the department of health management and policy at the University of Michigan's School of Public Health. The results show that it took mandatory participation to push hospitals to change their care process, Ryan said. Already, HHS Secretary Alex Azar has emphasized that he differs from his predecessor Tom Price by indicating that some mandatory models are appropriate. Azar reiterated those remarks Thursday during an advisory panel meeting on future pay models. "We need strategies and models that provide better care at a lower price, not just new models for the sake of new models, and not new systems of payment for old systems that aren't open to real change," Azar said. "Requiring participation can be necessary to determine whether a model really works, but it may also be necessary to meet what we see as an urgent need for reform." Despite the new CJR report, some provider groups hope that the CMS will stay the course and for now just pursue creating new voluntary models. Various industry studies, including one from the Medical Group Management Association, found choice is preferable. "The year one CJR report highlights an opportunity for hospitals to save money on post-acute care but doesn't prove mandatory is better," said Anders Gilberg, senior vice president for government affairs for the MGMA. "The best way to engage more providers in bundled payment is to enable providers to select the models most appropriate for their populations," added Amanda Forster, a spokeswoman for consultancy Premier. Just because the model saved Medicare some money, doesn't mean that was the case for all hospitals that participated, according to Amol Navathe, an assistant professor of medical ethics and health policy at the University of Pennsylvania. The results that the CMS provided are that on average, beneficiaries receiving care at hospitals in the mandatory bundled-payment program had lower costs. However, other research on CJR found savings were driven by high performance of about half the hospitals. "That means, that while the program was successful in reducing costs on average, this doesn't mean that every hospital reduced costs or achieved savings," Navathe said. "In particular, smaller hospitals with fewer joint replacement procedures didn't really seem to reduce costs."